Here’s my virtual slate card. VOTE EARLY! 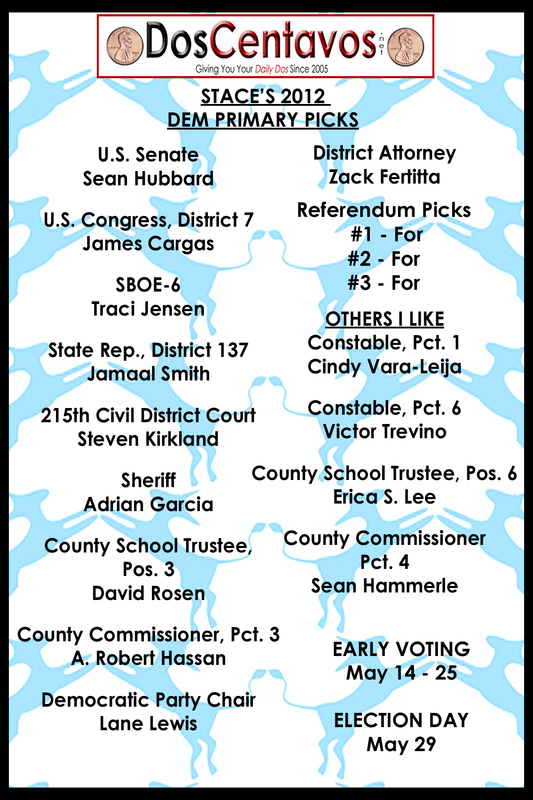 And here’s the Early Voting schedule (pdf) from the county. Remember, you can vote at any location during this period. Might as well get it done early! This entry was posted in 2012 Profiles, Houston Dems '12, LatinoVote '12, TDP Convention 2012, Texas Dems 2012, Texas Lege. Bookmark the permalink.